International Blasphemy Rights Day is observed every September 30 to commemorate the publishing of the Jyllands-Posten Muhammad cartoons, which angered religious believers around the world, many of whom expressed their disapproval with violent protests, riots, and in some cases, murder. While many perceive “blasphemy” as offensive, this event is not intended to ridicule and insult others. Rather, it was created as a reaction against those who would seek to take away the right to satirize and criticize a particular set of beliefs given a privileged status over other beliefs. Observing International Blasphemy Rights Day is a way of showing opposition to any resolutions or laws, binding or otherwise, which discourage or inhibit freedom of speech of any kind. Freedom of expression, including the right to criticize any belief, religious, political, or otherwise, is the only way in which any nation with any modicum of freedom can exist. Without this essential liberty, dissent can be suppressed and silenced by labeling it as “defamation” or “blasphemy.” Even rhetoric that uses the guise of sensitivity, such as “hurting religious feelings” can be twisted to stifle opposition by turning popular sentiment against it. If you support free speech, and the rights of those who disagree with religious views to voice their opinions peacefully, join the cause and support International Blasphemy Rights Day! Learn more about what you can do on the “Get Involved” page. The event is administered by the Center for Inquiry as part of its Campaign for Free Expression. While it is necessary that the public become educated about the moral and legal basis for the right to freedom of expression and about current threats to its existence, it is also important that the public act to promote and defend free expression. On this page you will find a collection of different ways in which you can take action—from writing to political leaders to helping raise social awareness. In all of your communications, please remember to mention the Center for Inquiry and the Campaign for Free Expression! The Cases featured on the Campaign for Free Expression website take root in many countries, and followers of the Campaign reside in many more. You can urge leaders of foreign countries, as well as your own, to respect the right to freedom of expression and immediately grant freedom and protection to prisoners of conscience and dissidents. To share your thoughts with leaders of foreign countries that have not protected freedom of religion, belief and expression, simply search for the contact information of that country’s embassy, and send an email or letter addressed to the Ambassador, asking ask that he or she convey your concerns to government officials in their home country. To share your thoughts with your own leaders who might engage in pressuring other countries that have not protected freedom of religion, belief and expression, search for the contact information of federal or national elected officials, particularly those who represent you, and urge them to take action or else to pressure the central government to do so. In addition, U.S. citizens can consider writing to Ambassadors who represent countries which are featured on the Cases page. If you live in the U.S., you can write your elected officials and the Obama administration to let them know that you care deeply about protecting the right to freedom of expression and want the U.S. government to take a strong stand for this right in the global arena. In addition, the U.S. House of Representatives is currently considering a specific resolution that calls for the repeal of blasphemy laws around the world. Take a moment to tell your U.S. representative to co-sponsor this measure and support its passage. Violent Islamists who have claimed responsibility for the murders of more than a half dozen secularists and activists in Bangladesh since 2015 are now threatening the lives of a number of writers, bloggers, publishers, and activists in the country. Generous public support has helped CFI to assist several individuals and families in escaping to safety, either temporarily or permanently — but many others remain in danger. CFI will continue to raise funds for this important cause so that we can act quickly and decisively before another writer or activist is attacked. 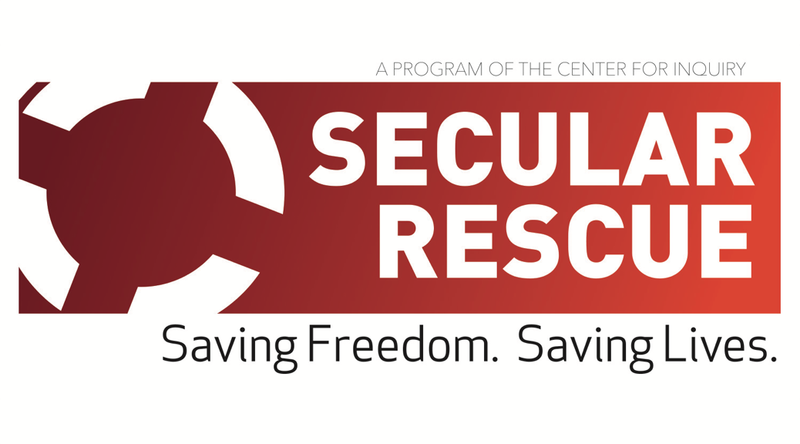 Please give now so that we can help these courageous defenders of secularism and freedom of religion, belief, and expression. Your community group or campus group can advance the cause of the Campaign for Free Expression any time of the year through events such as lectures, discussions, and public demonstrations. But, you and your group can also get involved right now with two particularly timely initiatives which we celebrate as part of the Campaign: Banned Books Week and International Blasphemy Rights Day. Invite an author of a banned book to give a talk to your group. If that’s not feasible, another great option is to invite a school librarian or other speaker to give a presentation on censorship, book banning, blasphemy, and/or free speech. Organize a Banned Books Readout in a public space. Invite group members and passers-by to read aloud sections from their favorite banned and challenged books. The Metro State Atheists at Metropolitan College of Denver came up with this service project idea: Food for Freethought. During Banned Books Week, they gave away donated books to students on their campus who brought in non-perishable food items to be donated to a food bank. If you’re not connected with a campus group, see if you can team up with a local library or freethought group for a similar project. Invite a speaker who can talk about blasphemy laws and free expression issues around the world. Check out the CFI Speakers Bureau for ideas. Educate your community about blasphemy issues around the world by putting up an informative display in a local library or community center. Host a blasphemous art or cartoon contest. Keep in mind that blasphemous images can be more than just Mohammed—check out these Charlie Hebdo covers as examples. Research speech ordinances in your municipality and find out if there are ones that inhibit free expression and assembly. If so, organize a coalition to lobby against them. Need more ideas for Banned Books Week or International Blasphemy Rights Day, or else the Campaign for Free Expression? Go to the CFI On Campus campaign resource page, or contact the CFI Outreach department at outreach@centerforinquiry.net. Post about the Campaign on Twitter with the hashtag #CFICFE or about International Blasphemy Rights Day with the hashtag #blasphemyday. Share news articles, videos, and other materials regarding the Campaign and International Blasphemy Rights Day on Facebook. Write posts about the Campaign and IBRD on your blog or website. Pen a letter to the editor in your local newspaper on the importance of protecting freedom of expression. Organize an event in your community. Do you want to better understand the international basis for the right to freedom of expression? Or, are you looking for insight on which countries continue to use laws to restrict free expression? Look no further! In recognition of Human Rights Day, our colleagues at the International Humanist and Ethical Union on December 10 each year release a report that details laws around the world which serve to restrict the rights to freedom of belief and expression, and instances of nonreligious persons facing discrimination and persecution. The report is produced with support from a number of secularist, humanist, and atheist organizations, including the Center for Inquiry. The annual Report to Congress on International Religious Freedom (or, the International Religious Freedom Report) describes the status of religious freedom in every country. The report covers government policies violating religious belief and practices of groups, religious denominations and individuals, and U.S. policies to promote religious freedom around the world. The U.S. Department of State submits the reports in accordance with the International Religious Freedom Act of 1998. USCIRF is an independent, bipartisan U.S. federal government commission created by the 1998 International Religious Freedom Act that monitors the universal right to freedom of religion or belief assesses the U.S. government’s implementation of IRFA; recommends countries that the Secretary of State should designate as “Countries of Particular Concern” for engaging in or tolerating “systematic, ongoing, egregious violations of religious freedom;” documents country conditions in around 30 countries; reports on significant trends; and recommends U.S. policies. The Pew Research Center conducts an annual study of 198 countries that details both government restrictions on religion and social hostilities involving religion. The latest report found that roughly three-quarters of the world’s 7.2 billion people were living in countries with high or very high restrictions or hostilities. In this report, human rights researcher Joelle Fiss discusses incidents where users have been accused of “blasphemous” posts on Facebook, Twitter, and YouTube, and persecuted for it — including cases from Bangladesh, Egypt, Indonesia, Iran, Kuwait, Mauritania, Pakistan, Saudi Arabia, Tunisia, Turkey, and the United Arab Emirates. Fiss then analyzes the toll of blasphemy laws on sectarian violence and broader international relations, examines the debate over censorship and surveillance within the corporate decision-making process, and offers recommendations to social media companies and the U.S. government on how best to oppose blasphemy laws in a broader effort to curb extremism and to promote democratic reform. The International Coalition Against Blasphemy Laws and brings together individual people and organizations that share the same goal: campaigning to repeal “blasphemy” and related laws worldwide. The Coalition operates the End Blasphemy Laws Campaign, the website of which provides arguments against blasphemy laws and updates on blasphemy law repeals and prosecutions. The fundamental right to freedom of expression is under attack around the world. The targets of the assault are those who question, criticize, or satirize religious beliefs, cultural customs, or political figures. These dissidents are not violent insurgents wielding guns or machetes, but writers, activists, thinkers, scholars, and everyday citizens living their lives and speaking their minds. Their weapons are pens, keyboards, and their own human voices. To silence these voices, a global crackdown is underway, where those who exercise their right to free expression are persecuted, threatened, jailed, tortured, or killed. The assault is being waged by religious demagogues, angry mobs, and radicalized individuals, as well as by governments, both local and national, leveling charges of blasphemy and “insulting religion” against dissidents. And through the abuse of individuals, they seek to terrorize the population as a whole into resigned submission. The Campaign for Free Expression is an initiative of the Center for Inquiry (CFI) created to resist this crackdown and defend the right of all people to think, believe, and speak as they choose without fear of government sanction or violent reprisal. We find ourselves in the midst of what is no less than a human rights crisis that even the most pessimistic Enlightenment-era thinker could not have thought possible in the 21st century. But whether those speaking out are atheist or religious; liberal or conservative; Christian, Hindu, Muslim, or of any or no faith, the Campaign for Free Expression exists to fight for their right to speak. Raif Badawi is founder of the website Liberal Saudi Network, which was dedicated to fostering open discussion of religion and politics in Saudi Arabia. He is also an advocate for freedom of religion, belief, and expression, and women’s rights. He is currently imprisoned in Saudi Arabia for insulting Islam. Dr. Avijit Roy was a Bangladeshi-American human rights activist and blogger known for his work defending freedom of thought and critical thinking. In 2001, Roy founded a forum for Bengali freethinkers called Mukto-Mona. He authored eight books and wrote articles for the Center for Inquiry’s magazine Free Inquiry. In February 2015, Roy visited his home country with his wife for the Ekushey Book Fair in Dhaka. They were attacked but extremists armed with machetes; Roy died, and his wife barely survived. For many in positions of power around the world, whether religious or political, even examples such as these are not sufficient crackdowns on freedom of thought. While some leaders offer vague platitudes that invoke a need to curtail certain forms of sensitive speech, others are far more severe. They seek ironclad global restrictions on what can and cannot be expressed about religion and religious figures, criminalizing on a planetary scale any speech that might offend religious sentiments. Eruptions of violence in majority-Muslim countries ostensibly in response to an anti-Islam Internet video, the murders of secular bloggers and activists in Bangladesh and India, and a massacre perpetrated on a Paris newspaper over its satirical cartoons, have prompted leaders in Egypt, Indonesia, Turkey, and other countries to seize upon the unrest and call upon the United Nations to enact binding resolutions against the so-called “defamation of religion.” Worried about further violence and wary of the appearance of insensitivity, many pro-democracy governments and organizations have begun to soften in their defense of free expression. At the Center for Inquiry, we believe it’s time for us as a unified human species to stand up and declare that this is unacceptable. Despite what many would have us believe, the right to freedom of expression is not a luxury valued mainly by Western elites, but a widely accepted, foundational principle of civilization. Several important international agreements clearly outline that freedom of expression is a universal right possessed by all persons, regardless of geography or nationality. No one, anywhere, should face social or legal punishment simply for speaking about his or her beliefs in public. And, importantly, no topic should be off limits—especially religion, which has such an enormous impact on the lives of billions. Part of the freedom of expression is the freedom to inquire—to ask questions and seek answers beyond what is dictated by a religious text or cultural dogma. This freedom is at the core of CFI’s mission. How can we truly have freedom and equality if certain groups of people aren’t allowed to exercise the same rights as anyone else? And how can we as a civilization grow, learn, and prosper if we sit back and allow the suppression—too often violent—of minority viewpoints? The right to freedom of expression is being whittled away, person by person, law by law, and innocent and peaceful people are every day suffering the consequences. It is not a problem isolated to a faraway land. The crackdown of free expression reverberates around the planet. The aims of the Campaign for Free Expression are to increase public awareness of these threats; discuss and develop plans to fight back, both in the world’s halls of power and at the grassroots; and to demonstrate that people value their right to freedom of expression and are eager to exercise it. What is the Campaign for Free Expression? The Campaign for Free Expression is an initiative of the Center for Inquiry to raise awareness regarding one of the most foundational human rights: the freedom to speak and to express one’s views without persecution or oppression. But isn’t free expression protected in the United States? Yes, but Americans are fortunate. Around the world, people routinely face social and legal punishment simply for stating their position on topics such as religion, whether they are expressing their belief in a given faith or their doubts. This is where the Campaign is focused. What is the purpose or goal of the Campaign? CFI launched this Campaign with two goals. First, we seek to raise consciousness about the insidious prevalence of laws around the world that restrict freedom of expression, as well as the disturbing number of cases in which peaceful people have been targeted and punished simply for stating their views on religion. Second, we want people to take action: to make others aware of the current situation; to contact governmental leaders, diplomats, and others in positions of influence over laws and social norms regarding free expression; and to reach out and support those who are right now being oppressed and persecuted by blasphemy laws and similar restrictions. Through accomplishing these aims, we hope to show the world that the freedom of expression enjoys broad, global support. What is the Campaign doing to achieve these aims? A number of things, central of which is launching a website, www.centerforinquiry.net/cfe. This website details laws and cases of expression being restricted, allowing people to learn about many of the current threats to free expression, along with featuring advocacy material like petitions and action alerts. This is happening in concert with the political advocacy that CFI has been doing for years at both the on Capitol Hill and at the United Nations. Where does CFI/the Campaign stand on inflammatory speech, such as burning a Qu’ran? CFI considers such speech on a case-by-case basis. In the case of burning a Qu’ran, we would rather people read and discuss the book as a more constructive alternative to an act that might only cause anger. 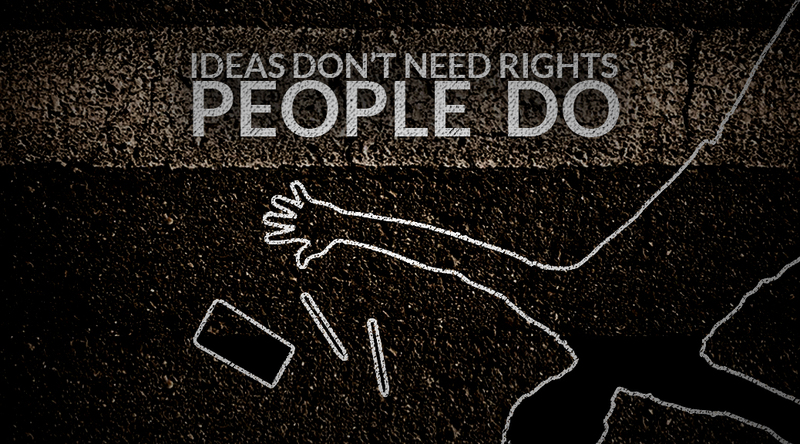 But the point of this Campaign is to raise awareness about why freedom of expression is a universal human right. We might not agree with the burning of a Qu’ran, but we oppose attempts to punish those who do. How can you say free expression is a universal human right? Many people do not agree with that. Several international agreements state explicitly that freedom of expression is a universal human right. These agreements are not arbitrary, nor are they based on an exclusively Western interpretation of values. They are based on a universally recognizable secular humanist moral code that leaves private and personal beliefs for homes and churches and values freedom of conscience, reason, and naturalism in the public square. An international coalition of atheist and humanist organizations, led by the Center for Inquiry and our partners the International Humanist and Ethical Union and CFI-Canada will protest the arrest and persecution of atheist bloggers and other dissenters in Bangladesh with demonstrations in Washington, D.C., London, Ottawa, Dhaka, and other cities around the world on Thursday, May 2. Bangladesh has recently been at the center of a human rights crisis as authorities have detained several prominent atheist bloggers for “hurting religious sentiments,” followed by the arrest of a newspaper editor who printed quotations from the targeted bloggers, and two more young people for making “derogatory remarks” about Islam on Facebook. Tens of thousands of people have rallied in the country’s capital to demand more arrests, tougher blasphemy laws, and have threatened violence if their demands are not met soon. With these unprecedented demonstrations, secularists around the world will express their solidarity with those jailed for speaking their minds about religion. Protesters will draw global attention to the plight of those persecuted for exercising their rights to freedom of belief and expression, and attempt to spur the international community to take action and compel the government of Bangladesh to change course. Washington, DC: Embassy of Bangladesh, 3510 International Drive NW, Washington, D.C. 20008. 4:30 pm ET. Details here. Ottawa: High Commission for Bangladesh, Constitution Square Centre, 340 Albert St, Ottawa, Ontario K1R 7Y6. 4:30 pm ET. Details here. Calgary: Consulate of Bangladesh, 633 6th Avenue South West, T2P 2Y6. 4:30 pm MT. Details here. Toronto: Eaton Centre, 214-2 College St., Toronto, Ontario M5G 1K3. 12 pm ET. Details here. London: The British Humanist Association is holding a leafleting protest from 10-4 p.m. outside the Bangladesh High Commission in London. Volunteers are asked to email pavan@humanism.org.uk. More cities and events to be announced soon. Keep checking back here for new information. To coordinate an event in your area, please contact cfe@centerforinquiry.net. Learn more about those persecuted for blasphemy and dissent at the Campaign for Free Expression, www.centerforinquiry.net/cfe. CFI is a signatory to the Day of Action declaration in support of the persecuted bloggers begun by activist Maryam Namazie. Special thanks to the Richard Dawkins Foundation for Reason and Science for their promotional help. Note: Due to the National Day of Mourning in Bangladesh on April 25, protests by the Center for Inquiry, CFI-Canada, and the British Humanist Association were postponed to May 2. Other groups, including the American Atheists and Secular Coalition for America, protested April 25.